Dellon Sales, a full service distributor of plumbing supplies, wanted to separate their front-end sales department from their back-end warehouse. 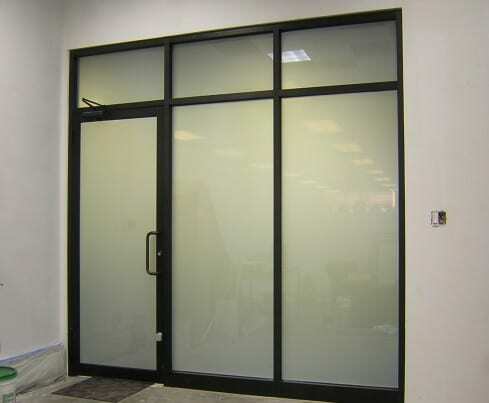 They replaced their glass wall with LC Privacy Glass, so they would be able to view directly into the warehouse with ease, and instantly conceal the activity & clutter when customers were present. The executive offices were also built out with LC Privacy Glass, glazed in aluminum framing. Remote controlled, electronic door-closers were installed with a magnetic plate mechanism so all functions of the wall could be controlled from their desk. When a customer enters their office for a private meeting, they push a button, their glass turns private and the door swings shut…all without ever leaving their chair.